Marko Arnautovic will return to the West Ham team as Manchester United look to end a disastrous week on a positive note at the London Stadium. 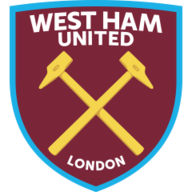 The Hammers ended Chelsea's 100 per cent start to the season last weekend, and will look for their first home Premier League win of the season against an under-fire Jose Mourinho. Arnautovic starred in the recent 3-1 away victory at Everton, but the Austrian sustained a knee injury which ruled him out of the stalemate with Maurizio Sarri's side last Sunday. West Ham manager Mauricio Pellegrini has confirmed, however, that Arnautovic will return to the fold looking to inflict more damage on United's season. 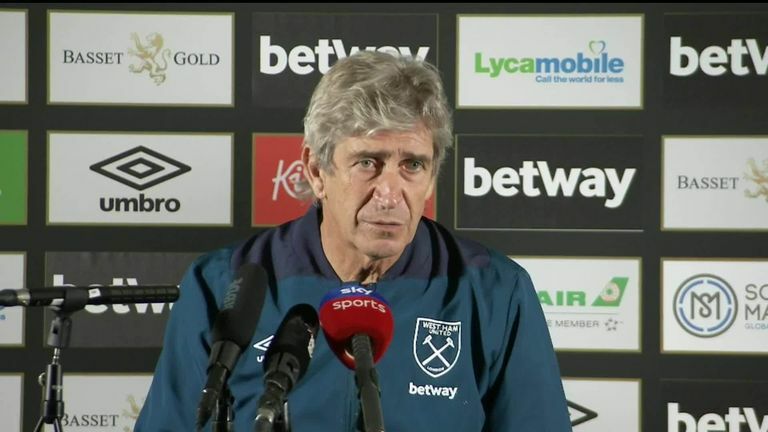 Pellegrini said: "Marko worked on Wednesday. He worked with the squad, so I think he is 100 per cent fit for tomorrow." The Chilean is also considering Grady Diangana for Saturday after his two goals against Macclesfield, adding: "I don't think Grady's age is a problem. "Players must take their chances. I try to analyse the performances, so I will see if he will be included tomorrow." Romelu Lukaku has an unrivalled record against the Hammers - scoring 11 goals in his last 11 games - and the Belgium striker will seek to add to his impressive tally away from home. Lukaku has scored in all three of his away league matches this season, and Mourinho can do with his frontman producing the goods once more after the most challenging week of his time at Old Trafford. News of Arnautovic's return comes as a major boost but West Ham are set to be without Carlos Sanchez for a lengthy period. Sanchez limped off with a suspected knee injury after nine minutes against Macclesfield but the extent of the damage is yet to be fully diagnosed. Javier Hernandez is working his way back to full fitness following glandular fever, but Jack Wilshere, Andy Carroll, Manuel Lanzini and Winston Reid remain sidelined. Lee Grant will be on the substitutes' bench for United after Sergio Romero's sending off against Derby in midweek. Marcos Rojo and Sergio Romero are the only absentees for Manchester United, while Paul Pogba is set to be among the starters. Argentina defender Rojo has yet to play this season after returning from the World Cup injured and compatriot Romero serves a one-match ban for his sending off against Derby in the Carabao Cup. Mourinho confirmed Pogba will start the game, while forward Marcus Rashford returns from a domestic ban. West Ham have won only one of their last 19 Premier League matches against Manchester United (D5 L13), winning 3-2 at Upton Park in May 2016. 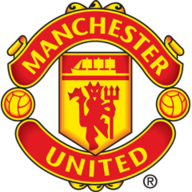 Manchester Utd have kept a clean sheet in both of their Premier League visits to the London Stadium, winning 2-0 in January 2017 and drawing 0-0 in May this year. Only against Arsenal (29) have West Ham lost more Premier League games than they have versus Man Utd (27). Manchester Utd have lost just twice in their last 25 matches against West Ham in all competitions (W16 D7 L2), with both defeats arriving in London. West Ham are winless in their three Premier League home games this season, though did hold Chelsea to a goalless draw last time out. Man Utd winger Anthony Martial has been directly involved in eight goals in his last five appearances against West Ham in all competitions (six goals, two assists), netting five goals in his last three games. While at Manchester City, West Ham boss Manuel Pellegrini became the second ever manager to win each of his first three Premier League games against Man Utd (after Carlo Ancelotti). Since then, the Chilean is winless in three against the Red Devils (D1 L2). It's not working between Paul Pogba and Jose Mourinho, they don't look happy. I've seen the video of Pogba coming onto the training pitch and Mourinho says something to him, so it isn't good at all. With the results as well, it just gets blown up even more. If they had won their last two games, it wouldn't be a problem, but they're out of the title race and out of one of the cups already which they had a chance of winning. For me, it's worrying times at Man Utd now.